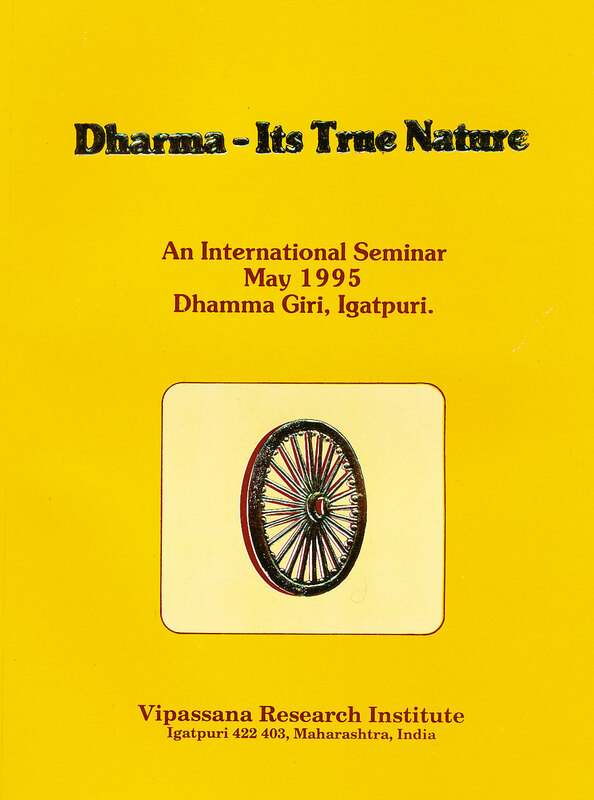 A report on the proceedings of an international conference held at Dhamma Giri, Igatpuri, India in May, 1995. The papers and discussion focus on the meaning of the word 'Dharma' which embodies all the essentials of an ideal social order and is universally applicable without any distinction based on gender, caste, creed, sect, religion or nationality. Papers are interspersed with lively discussion extracts about the definition of the term Dharma and focus on the role of Dharma in relation to current social issues, science, and the rapidly changing nature of society today.